The World's Fare returned to Forest Park this year. 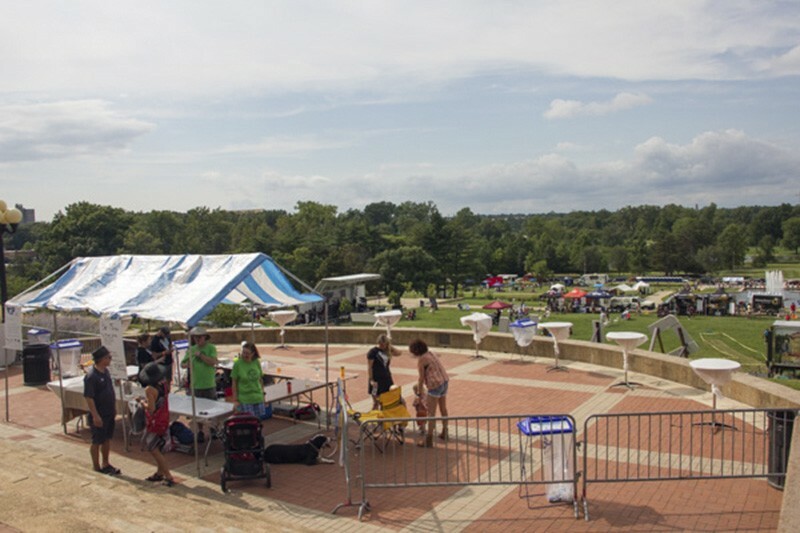 More than a century after the 1904 World's Fair established St. Louis as a city on the rise, Davide Weaver and his team have restored the festival to the rolling Forest Park hills where it was born. Having just completed its third year, St. Louis World's Fare Heritage Festival welcomed more than 25,000 attendees this August, says Weaver, who collaborated with partner Mike Landau to bring diverse artists, performers and food to the table. This was no basic reboot: Weaver, an artist and entrepreneur himself, says he didn't want to recreate the colonialist trappings of the 1904 event. Hence the "World's Fare," a name that evokes the new festival's goal of offering a truly international "fare" to St. Louisans. Over the course of three days, below the glow of a Ferris wheel, Weaver showed St. Louis what a world-conscious festival should look like. "We're the new St. Louis," he says. "We're the new World's Fare. And the new city owns it."